Aside from being a fantastic drink, vodka has many uses which you may not have known about. 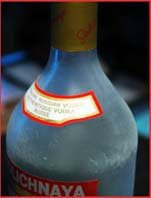 Since vodka is one of the world's most popular drinks, many of us have a bottle handy in the home. And since its typically filtered and pure, it makes a handy liquid to have around.